The Single iPad Classroom | Elementary Ed Tech! Both of the schools I serve have “Single iPad Classrooms”. The teachers all have iPads, and, on one campus there is a mobile cart of 30 iPads that is shared on a check-out basis. Teachers have had their iPads for a while, so I thought it would be interesting to find out how they are getting these in the hands of students. I created a survey in Google Forms (what did we do before Google Forms???). Below I have summarized the responses. If you have a system for individual students to use the iPad, can you please explain it? • My system is calling on a student and letting him/her play specific apps or use it for free time. • I have student practice spelling words, high frequency words, math facts or with my younger students practice letter naming and sounds. • We rotate through two centers a day so 4-5 kids use it. • One to two students working on different educational apps. This is done during centers or quiet time. • They have to “buy” time with their tickets they earn. 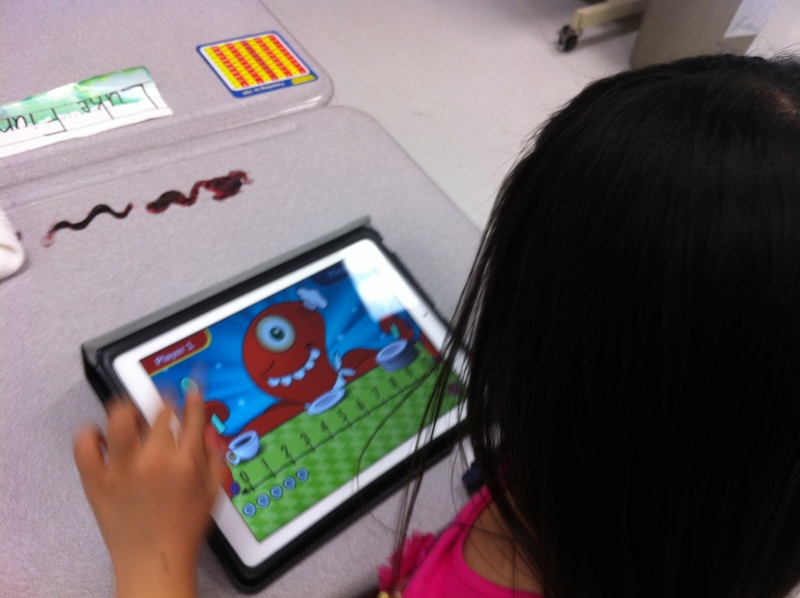 • Each day 4 students are drawn to use the ipads during Daily 5 choice time to practice their spelling words. • I have an Ipad class helper who keeps track of who is using it. • They take turns on Fridays during designated times. • During our center time, students rotate ipad use. 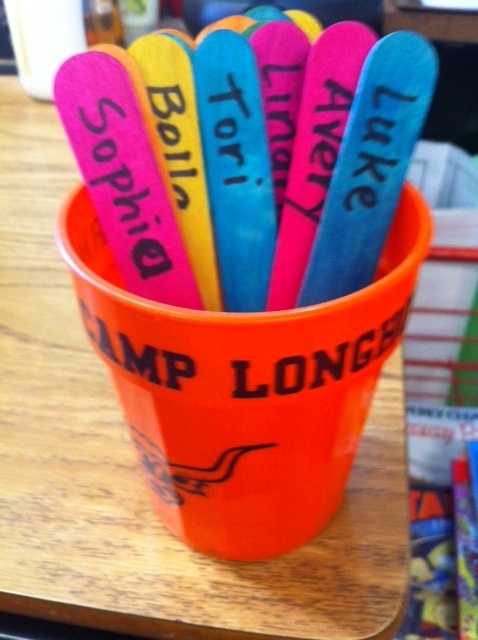 • I have student names on sticks and I pull one each day and that student gets the iPad for that day. When I have gone through all the students, then we start over. So each student gets the iPad once every 20 days. • Students who have finished checking out books can use the iPad(s), iPods, or nook. I have put books, language arts, and social studies apps on the devices. Some are also using garage band. • They can use it freely to get on Xtra Math or take an AR quiz. They use it during BYOT tech app Fridays. • We have an “iPad helper” who draws random names throughout the day. They keep track of who has used the iPad on a special clip board. We make sure everyone has had a chance during that “round” before we start all over again. Usually 3-5 kids use the iPad per day. If you have a system for small groups to use the iPad, can you please explain it? • I have iPad at center and students work on a particular app. • Using it as station for instruction for some games. • In small reading group instruction, our ipad is an invaluable tool to help us learn letter names and sounds, correct pronunciation, recognition of sight words, shape recognition, not to mention tactile development. How do you keep the students on the specific apps you want them to use? • Sitting by th em – easy to do in a small group setting. • I model how to go to each one and how to use them. I’ve put most apps in designated folders, specifically for student use. • I have made folders with different apps for different grade levels I work with. • I put the in three folders on the bottom row where it’s hard to remove them or mess them up. Also, we previewed what to do if the black x shows up. They have done GREAT with it. • The app they will use is already up and running when they get the iPad. • Honesty…I’ve told them what they can use during Daily 5 and have not caught anyone doing otherwise! I can check how much time they spend in the spelling apps that we use. • I have them located in folders with the names of the academic areas. So they are instructed to use the apps in the folder of the academic area that are in for the whole class. So, for example, when we are doing Math, they are only allowed to do the Math apps. • I announce ahead of time which apps can be used during that time. • Difficult to monitor! I wish I could put a password on my folders! Or put folders within folders to organize things. What apps have you found that provide an engaging and relevant learning experience for your students? • Math apps are great! I also use Flash Card app for sight word reading and bingo. In general, the kids respond well to any app I show them. I also use Aimsweb on the iPad and it is wonderful and easy to use when doing progress monitoring on the kids. • iMovie, Pullups, and the basic camera. • SpellBoard is what we use for spelling practice. I like that I can program in the words they practice, adding more than what is on our weekly list- more challenging words for those that need it. • Puppet Pals, Sock Puppets. I have recently loaded “Snapseed” a free app from Starbucks, and I will use that app more with students who take pictures. • Word Wizard, Spell Board, Word Bingo, Pop Words, Sight Words Hang Man, Flash to Pass Free, Everyday Math Apps, Math Bingo, Amazing Coins, Grade 1 Math, Teach Me 1st Grade, Flat Stanley, Grade 1 Math and Science….soooooo many! You have awesome ideas!! I just wanted to add that you can in fact lock a student into a specific app by pushing the home button 3 times then entering the created pass code. I like how you said you trust them too, which is important but just wanted to give you this hint too!! Math Fight is an awesome app and allows two kids to play together. My 4th graders LOVE the Mayan Multiplication app. Both apps have a free version, but they are well worth the money if you decide to purchase them. You can triple click the home button once an app is open to lock students into that one app. Great for the preschool children I teach. There are some really great suggestions here for folks with single iPad classrooms….definitely check it out! the biggest jump in “problem institutions” it has seen since the Savings and Loan Crisis of the late 1980s. With this feature you can also use your Facebook covers photo for your profile which is 849 by 312 pixels. How do you do aims web on the iPad? The Ipad has “guided access” that can be setup..the student will not be able to leave the app. It is password driven. You can find it under “settings” under “accessibility”. reason that i want enjoyment, as this this site conations in fact nice funny data too. This just reminds me of how far behind our Title One school is behind wealthier school districts. We have one ipad for the entire school, and only for 1 special ed student. Apple needs to come up with some BIG grants to get these into the hands of poorer, struggling schools. I’m sure they could find some $$$ some where, if they wanted to. Great idea about the doc camera. to me personally. It’s very helpful and you’re simply clearly quite well-informed of this type. You have got opened our eyes to be able to numerous thoughts about this specific subject with interesting and reliable written content. 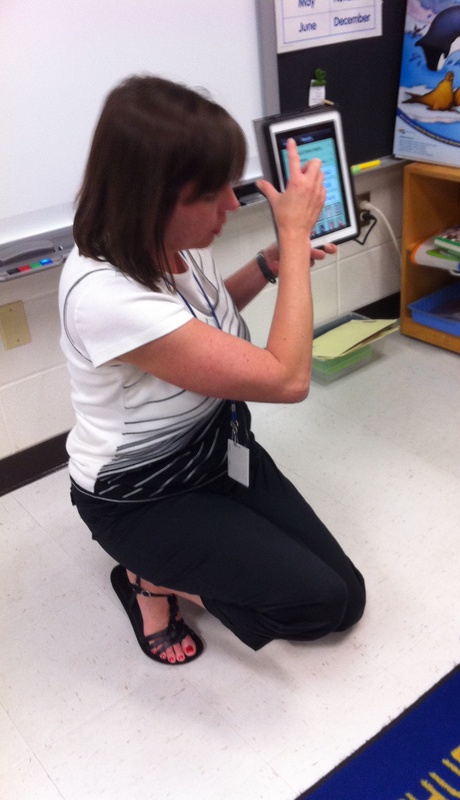 up here The Single iPad Classroom | Elementary Ed Tech!
. And I do have a couple of questions for you if it’s allright. Is it only me or does it look like a few of the responses look as if they are written by brain dead visitors? 😛 And, if you are posting on additional online sites, I would like to follow anything fresh you have to post. Would you list of the complete urls of all your shared pages like your twitter feed, Facebook page or linkedin profile? First off I would like to say excellent blog! I had a quick question that I’d like to ask if you do not mind. I was curious to know how you center yourself and clear your thoughts before writing. I have had trouble clearing my thoughts in getting my ideas out there. I do take pleasure in writing but it just seems like the first 10 to 15 minutes tend to be wasted simply just trying to figure out how to begin. Any suggestions or tips? Appreciate it! What i do not understood is actually how you’re no longer actually much more neatly-liked than you may be right now. You’re so intelligent. personally consider it from a lot of numerous angles. Its like men and women don’t seem to be fascinated unless it is one thing to accomplish with Woman gaga! Your individual stuffs excellent. All the time handle it up! to go back the choose?.I’m attempting to in finding things to improve my site!I suppose its good enough to use some of your ideas!! with dehydration. The two shows this year have been advertised as:. plant and an additive that is found in nearly every food and beverage. Use guided access. It comes on all iPads. It locks the user in the app when you press the home button three times. Google the specifics. I love it! I use the guided access and it works great!!! It will keep only that app open, and if the student tries to get out of the app they need a password! No student should have access to our emails or accounts…. On mine it can be set up under Settings – General – Accessibility – Guided Access. I love the apps Alphatots and Tallytots for younger students and Operation Math for all my students! Connect it to the usb port on the projector used with your document camera. Turn off the document camera. How to whole class or use in a center. As a second year, 2nd grade teacher in Houston, I stumbled upon this site through pinterest. I just realized it’s from EANES! I graduated from WHS in 2007, so it’s nice to get tips from the amazing district from which I accredit my phenomenal education. Thanks! Thanks for the great tips which are very practical and can be used immediately. Keep an eye out for Guided App Mode, or Single App Mode on iOS6 when it comes out: http://www.apple.com/ios/ios6/#accessibility solves that problem exactly. It will keep people on the same app and you can choose whether home button is enabled or disabled. Thanks for sharing these great ideas! One other thing you could do is use Reflection to mirror your iPad to your computer! Then two groups can see it at the same time! Thanks for sharing your learning!